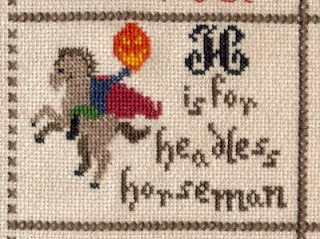 The Horseman was a nice speedy stitch. Once again I "tweeded" part of it, the horse has the bottom /// in light brown and the top \\\ in a darker brown. Nice effect. I've been looking at Julie's finished squares and am rather envious of her moon in C. She's been using hand-dyed threads and the moon is lovely. I'm almost tempted to frog and restitch mine but not quite! Frogging over 1 is a nightmare and it took me long enough the first time! I think it'll be a while before "I" comes out ﻿so this one is having a rest while I pick up Bluebeard's Mermaid for the first time in ages, I've missed her so much. 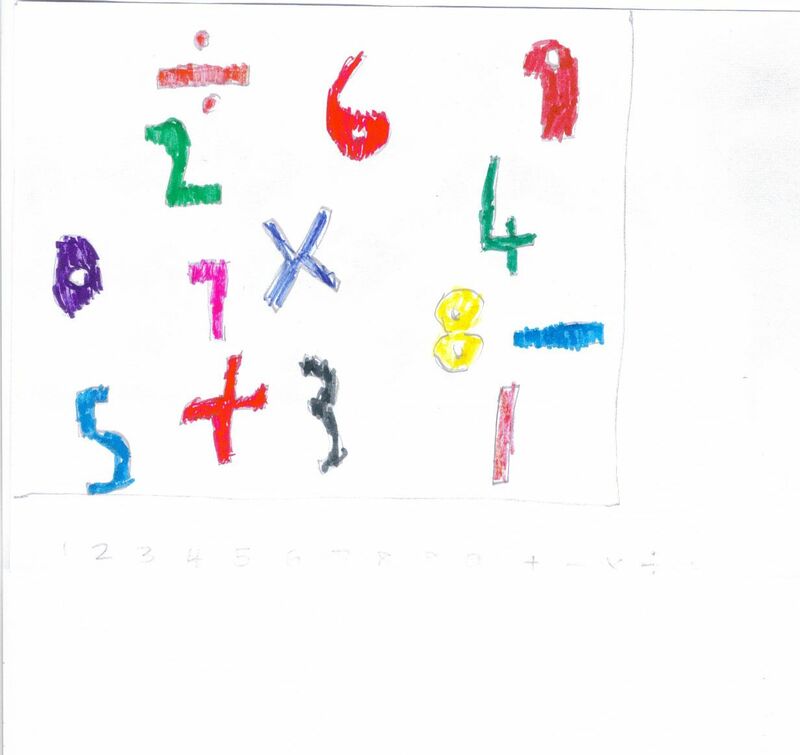 It took me 10 minutes of looking and staring to remember where I was and what the symbols were colour-wise. 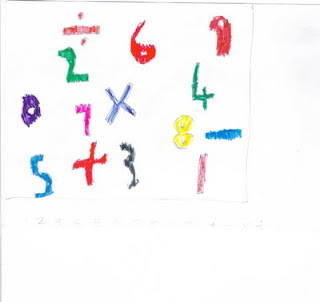 This is the design my son drew for me and coloured in. You can see the finished piece is pretty similar. We tweaked some of the colours as he'd duplicated a couple. I've been following people's progress with Papillon's Castles in the Air project. This is a gorgeous two year SAL which I thought I'd totally missed the boat on becoming aware of it at about part 19! However on the site she says the charts will be available for a little while yet. Unbelievably it is only 1 Euro to buy the first chart then you can download all the rest for free. I thought you had to post pictures to get the subsequent ones but NO! Now we come to the problems. 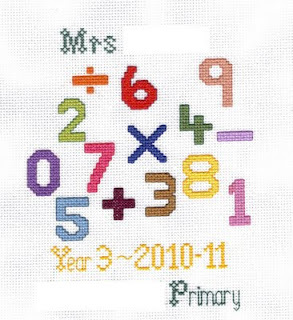 There are two versions - cross stitch and speciality stitch. I love a speciality stitch but cross stitch would be quicker and it's a big project. What the heck - it's A EURO - buy both and have the choice. So I pay my 2 Euros and get to download 48 charts! Then I see there is a choice of pictures for the centre, either little vignettes or floral designs. 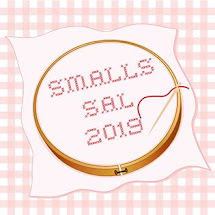 I knew I preferred the floral designs (or so I thought), but the little vignettes are sooooooo pretty....maybe I could stitch them as smalls? THEN I notice she gives an option for cutwork on some parts! She even includes a free bookmark design to practise your cutwork on. My "stash-sort" for the week was to sort my small picture frames. All 40 of them. I have a slight addiction to buying small frames. It's hard to get square frames so I tend to grab them when I can. I now have a nice neat list with all the dimensions on them so I can see instantly if I have the right size for a project or which count I need to stitch a project on to fit the intended frame. ROFL!!!! You cracked me about CiA. 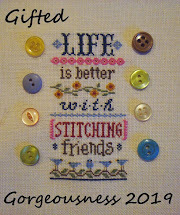 I have the specialty stitches version, and I figured I'll get around to stitching it one of these days. I agree that the tweed-effect is really cool! This piece will be absolutely fabulous! The drawing translated into cross-stitch is such a neat idea and it turned out great. I am sure that the teacher will be thrilled about it. The horseman looks great as it is. I wouldn't frog anything if I was you. It's just lovely. Love also your design for your teacher. I'm such a dunce. 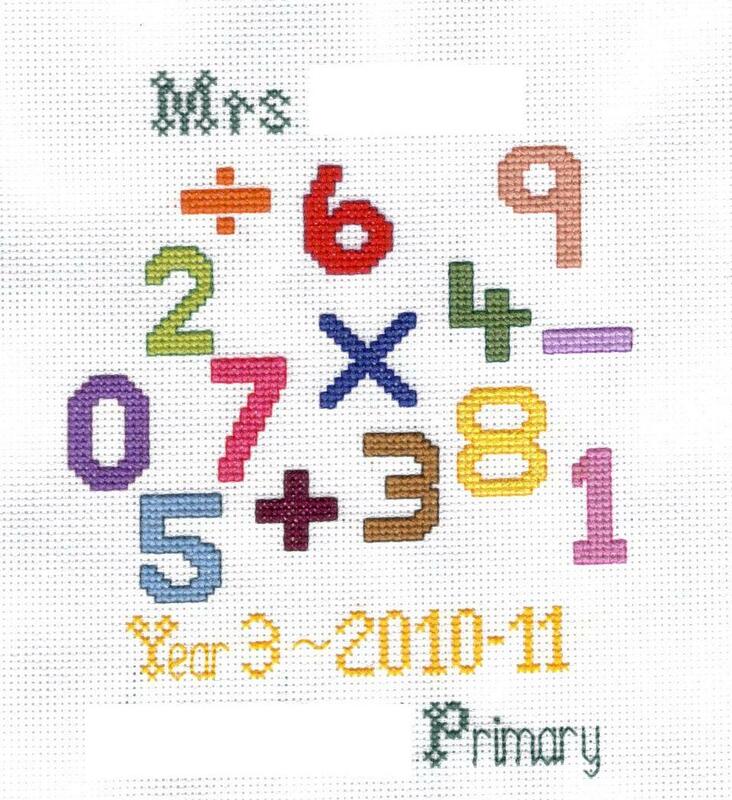 I didn't notice the whited out sections on the numbers piece and thought her name was Mrs. Primary, which is so on the nose for a primary school numeracy teacher. LOL! Your alphabet is so intriguing. 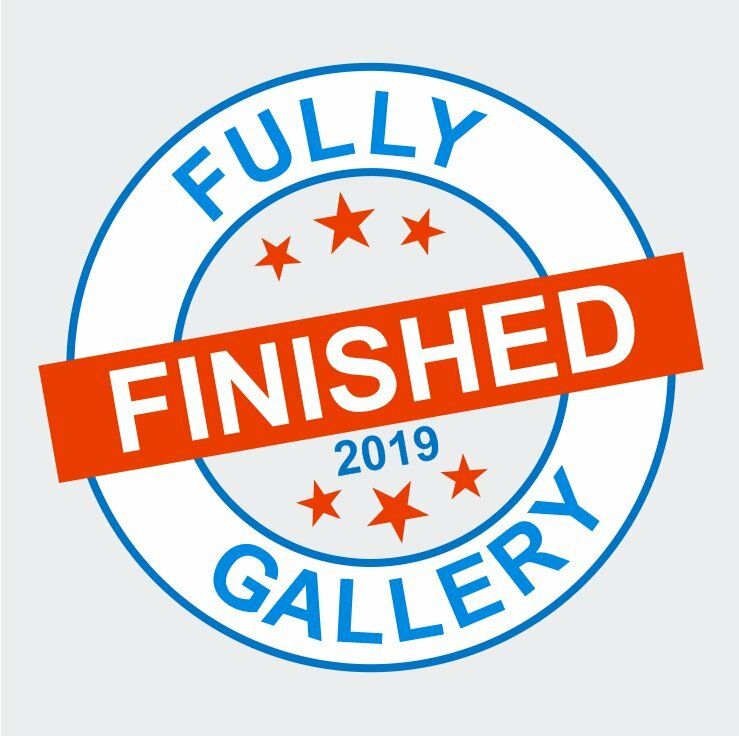 Can't wait to find out what's next. 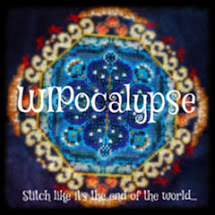 I've got the specialty stitch version, but can't even think of starting yet, so no conundrum at the moment. We do have a Mrs Pagan who teaches RE. My friend used to refer to all her son's teachers as "Mrs Thing" as she couldn't remember all their names. And I love what you've done with your son's design! Nice job on the Dark Alphabet! The design for the teacher looks great, too. The horsemen is awesome with the pumpkin head, I really like the F too.